“…ever since I heard about your faith in the Lord Jesus and your love for God’s people, I have not stopped giving thanks for you, remembering you in my prayers”. Paul’s heartfelt message to the Ephesian believers shows us the kind of man he was, and remains a very high standard for how we should think of and pray for others labouring in other parts of the harvest field. I can say that, while I haven’t remembered you with the same frequency as Paul with his friends, I have given thanks for you and prayed for you since you agreed to be part of the Gafcon UK Panel of Reference (PoR) more than two years ago. As you know, the PoR was set up as a provisional advisory body, with an initial term of one year, with a specific brief to assist the ‘Task Force’ in its work. From August 2017 the focus of Gafcon UK turned to gathering a large cross section of delegates for the June 2018 Conference in Jerusalem, which proved complex but in the end ensured a good representation to the global gathering from Britain and continental Europe. For some months before Gafcon 2018, I consulted many of you on a draft document setting out the vision, purpose and structure of Gafcon UK going forward (‘Gafcon UK: a suggested way forward’). Further progress on this after the conference did not materialise, because it was clear that while there is a great sense of unity in our constituency in affirming our common faith, there are a number of different views on how to interpret what is happening in our national Anglican churches, and how to respond to the latest developments. As missionary Bishop I was already receiving many requests for immediate assistance and oversight, especially in Scotland and in the AMiE churches. I felt that I would not be able to wait for consensus on a single plan for the orthodox, but instead should continue the work that had been given to me. For Gafcon UK to move forward as a vehicle for establishing the vision of Gafcon and supporting the new Episcopal oversight ministry in cooperation with the wide cross-section of Anglican groupings in Britain, we need to establish the organization on a firmer footing, as a Charitable Incorporated Organisation with a new structure of governance. For this reason it seems that now would be the right time to disband the original, provisional Panel of Reference, and set up a new Council of Reference and Board of Trustees. Some of you have already been approached about this. I very much hope that despite some members of the PoR no longer having a formal role in Gafcon UK, there will still be many opportunities for me and others to stay in contact with you and informally make use of your wise advice where possible. I am very grateful to you for your input and help. Just to update you with recent news. July was extremely busy as I finished my work with Crosslinks. I took some leave in August, and then since September I have been visiting churches and together with my small team, developing stronger links with the Gafcon family worldwide. 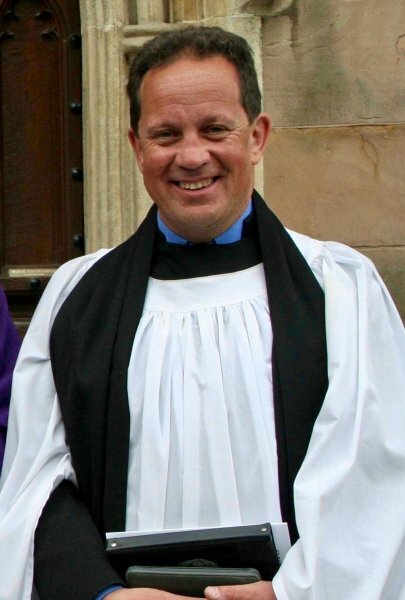 Of particular note is the fact that two large congregations in Scotland are now in the process of disaffiliation from the Scottish Episcopal Church, joining the small congregation in Harris. It has been a great joy for me to share in their ongoing ministry. Please join me in praying for St Thomas Corstorphine, Edinburgh, and Westhill Community Church, Aberdeen. There have also been a number of difficulties which have arisen since September, to the extent that Paul’s warning to the same Ephesian Christians about the evil forces in the heavenly realms could not be more apt. More than ever I’m aware of the need to be watchful and prayerful, to try to avoid unnecessary division among us but more than that, to love and encourage each other though we might differ in some areas, and be committed to different ministries. Gafcon remains an amazing, unifying vision for us all.